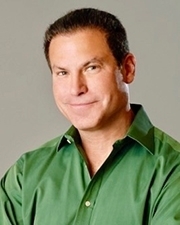 Jonah Shacknai serves as executive chairman of DermaForce Partners, an aesthetics technology firm that develops and globally commercializes novel cosmetic products in multiple channels, including the doctor-dispensed skincare brand SkinBetter Science. Jonah also serves as chairman of the board of directors for Illustris Pharmaceuticals, Inc., a development stage biotechnology company. Prior to co-founding DermaForce, Jonah was the founder, chairman, and chief executive officer of Medicis Pharmaceuticals Corporation. Jonah has an extremely well diversified public service, law, science, and corporate background, with substantial experience and expertise in the pharmaceutical and healthcare industries. Throughout his career, Jonah has been honored by several institutions, including receiving a Doctorate of Humane Letters from an affiliate of Columbia University College of Physicians and Surgeons, the “National Award” from the Freedoms Foundation at Valley Forge, the “President's Award” from the American Society for Dermatologic Surgery, and “Lifetime Achievement” awards from several dermatology societies. Currently, Jonah serves as co-chairman of the Foundation Board of the Campaign for Tobacco-Free Kids, and co-chairman of the Development Committee of the board of directors for the Campaign for Tobacco-Free Kids. Jonah is president of the MaxInMotion® Foundation, a non-profit organization assisting economically challenged athletes as well as those with disabilities. Jonah earned a B.S. from Colgate University, and a J.D. from Georgetown University Law Center.